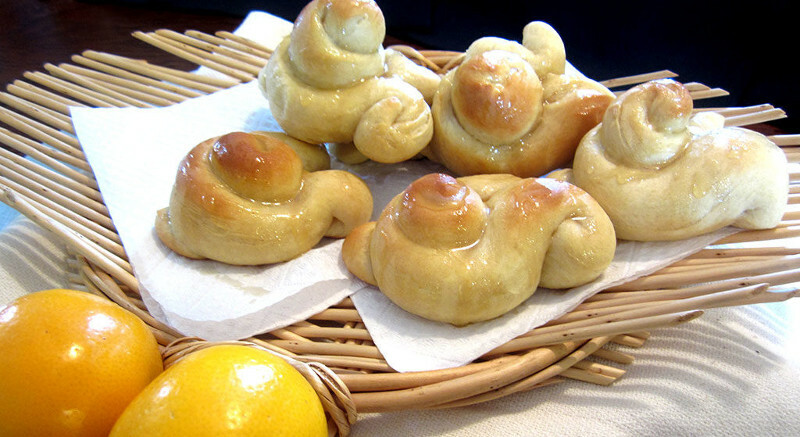 You can use this recipe to make between 8 and 32 bunny-shaped rolls, depending on how you shape them. 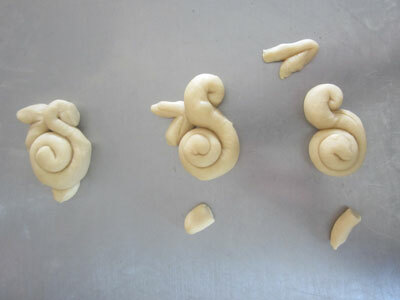 There are two ways to shape the dough into bunnies. 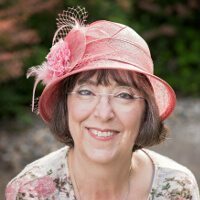 Catherine’s mom uses the scissors method, but I always use the spiral method. 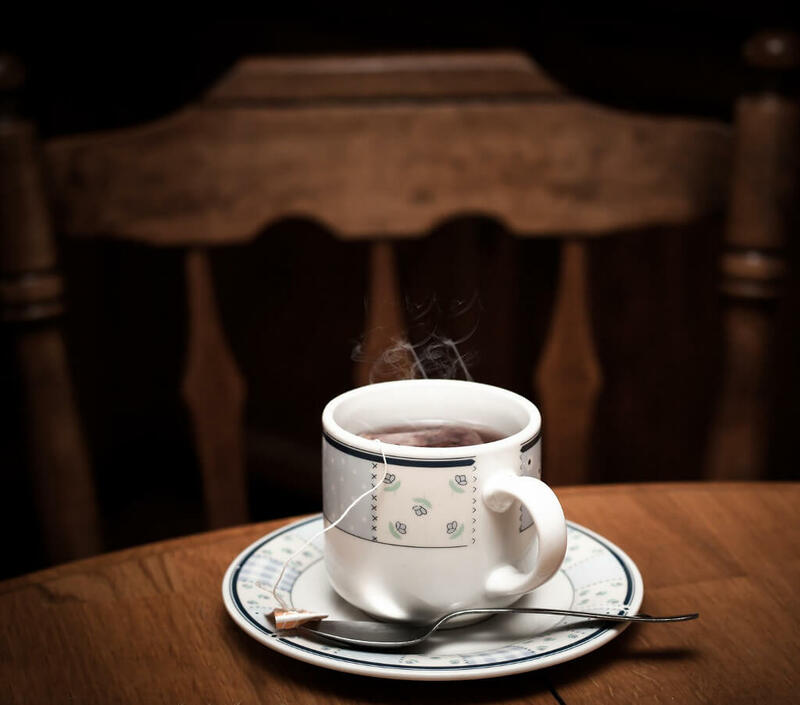 Take one piece of dough out of the refrigerator. If you want to make 8 bunnies, cut the piece of dough you’re working with in half. 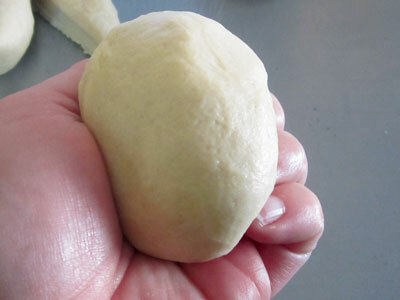 If you want to make 12 bunnies, cut the piece of dough into thirds. 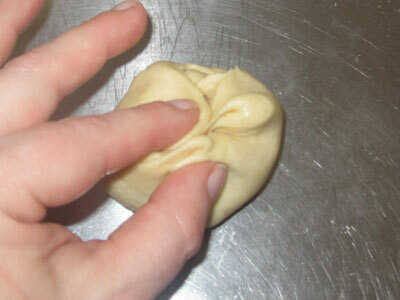 Pull edges of dough together, pinching the bottom, creating a round top. 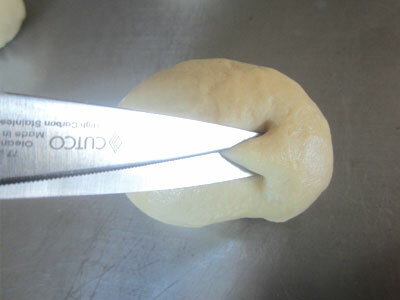 Place the roll pinched side down, leaving a smooth, rounded roll on top. Using scissors, cut one snip in the back of the bunny, creating the tail, and cut two slits on top, creating ears. If you like, you can use a toothpick to create “eyes” on the bunny, as well as the detail in the ears. Take one piece of dough out of the refrigerator. If you want to make 16 honey bunnies, cut the piece of dough you’re working with into four equal pieces. If you want to make 32 honey bunnies, cut the dough into six equal pieces. Paska and kulich: My friend’s recipe for traditional Easter bread and a not-quite-as-traditional sweet cheese spread.